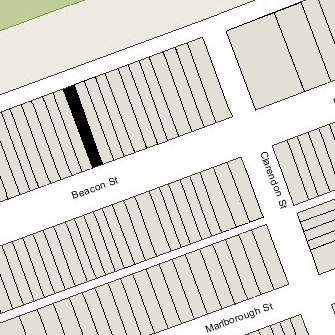 204 Beacon is located on the north side of Beacon, between Clarendon and Dartmouth, with 202 Beacon to the east and 206 Beacon to the west. 204 Beacon was built in 1862-1863 by contractor and builder John W. Rollins, one of six contiguous houses (198-200-202-204-206-208 Beacon), each built in the same design with all six unified by a single cornice and roof line. John Rollins and his wife, Elmira (Nutter) Rollins, lived at 85 Pleasant. Click here for an index to the deeds for 204 Beacon. On December 7, 1863, 204 Beacon was purchased by Harvey Jewell. The sellers were John Rollins and John Borrowscale, individually, and John Borrowscale and Albert Betteley as assignees in insolvency of Samuel Hazard. Harvey Jewell and his wife, Susan A. (Bradley) Jewell, made 204 Beacon their home. They previously had lived at 11 Chambers Street. Harvey Jewell was a lawyer. He served a member of the Massachusetts House of Representatives in 1861-1862 and again in 1866-1872, serving as Speaker of the House from 1868 to 1872. Harvey Jewell died in December of 1881. Susan Jewell continued to live at 204 Beacon with their two surviving daughters, Susan Emily Jewell and Margaret Harvey Jewell. Susan Jewell married in June of 1883 to George Partridge Sanger, Jr., a lawyer, and they lived with her mother until about 1890, when they moved to the Hotel Vendôme. Margaret Jewell remained unmarried and continued to live with her mother. Susan Jewell continued to live at 204 Beacon until her death in May of 1903. After her death, 204 Beacon remained the home of her daughter, Margaret. She also maintained a home at Delano Park, Cape Cottage, Maine. Margaret Jewell continued to live at 204 Beacon until about 1933, after which she moved to Portland, Maine. The house was not listed in the 1934 and 1935 Blue Books, and was shown as vacant in the 1934 and 1935 City Directories. On May 18, 1936, 204 Beacon was acquired from the estate of Harvey Jewell by Charles Henry Dillworth, an attorney and real estate dealer. Living with him were his brother, Daniel C. Dillworth, his sister, Anna L. Dillworth, a hairdresser, and his sister, Eleanor Dillworth. They previously had lived at 338 Commonwealth. Daniel Dillworth died in January of 1938. Charles, Anna, and Eleanor Dillworth continued to live at 204 Beacon in 1939. By 1940, they had moved to 130 St. Marys Street. On August 15, 1939, 204 Beacon was acquired by Mary Motley (Williams) Harris, the wife of Philip Gilmore Harris. They operated it as a lodging house. They previously had lived in Brookline. Philip Harris’s uncle, Walter Harris, lived with them until his death in January of 1944. An attorney by training, Philip Harris was an investigator and later a supervisor with The Employers’ Group Insurance Company. On May 23, 1949, Mary Harris transferred the property to Philip Harris as trustee of the Pascoag Realty Trust. The Harrises continued to live at 204 Beacon in 1950, but had moved to an apartment at 280 Beacon by 1951. On February 1, 1950, 204 Beacon was acquired from Philip Harris by real estate dealer and contractor Leo Wexler. On May 16, 1950, 204 Beacon was acquired from Leo Wexler by real estate dealer Samuel Wasserman and his wife, Ella Frances (Brennan) Wasserman. They previously had lived at 249 Beacon. In December of 1950, they applied for (and subsequently received) permission to convert the house from a single-family dwelling into a two-family dwelling and lodging house. By 1952, the Wassermans had moved to 321 Marlborough. On October 22, 1951, 204 Beacon was acquired from Samuel Wasserman by Rose (Goodman) Kantor, the widow of Harry Kantor. She lived in Brookline. On June 14, 1954, she transferred the property to her son, Alexander Kantor. He and his wife, Paula (Hurvitt) Kantor, lived in Newton. It remained a lodging house. In April of 1954, Alexander Kantor applied for (and subsequently received) permission to tear down a former one-car garage and passageway that had been damaged by a fire. On June 10, 1955, 204 Beacon was acquired from Alexander Kantor by Samuel L. Greenberg and his wife, Sophie Greenberg. On August 20, 1959, 204 Beacon was acquired from the Greenbergs by Henry A. Crivelli and his wife, Shirley Ruth (McCoy) Crivelli. They lived in Belmont. In July of 1959, before taking title to the property, he filed for (and subsequently received) permission to convert the property from a lodging house into twelve apartments. The property subsequently changed hands and on July 16, 1979, was acquired by Andrew B. Rose, trustee of the 204 Beacon Street Trust. In June of 1981, he applied for (and subsequently received) permission to convert the house from twelve to ten apartments, and in July of 1981, he amended the plans to reduce the number of units to eight. On August 11, 1981, he transferred the property to himself and Jeffrey Gouchberg, as trustees of the Seventh Northern Rose Realty Trust. 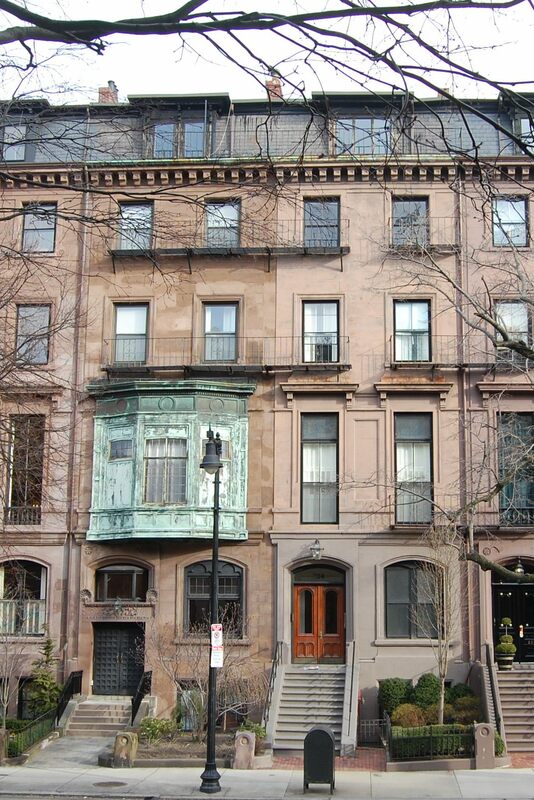 On November 23, 1981, they converted 204 Beacon into eight condominium units, the 204 Beacon Street Condominium.